The Air Force may hold off on phasing out codeless and semi-codeless access to the GPS L2 signal in light of delays to GPS modernization, experts told attendees at the recent Civil GPS Service Interface Committee (CGSIC) meeting. 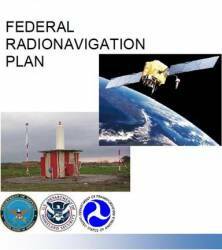 The issue will likely be discussed as part of the formulation of the 2014 Federal Radionavigation Plan (FRP). “Semi-codeless retirement in 2020 is being evaluated,” said Col. Colonel Harold Martin, deputy director of the National Coordination Office for Space-Based Positioning, Navigation, and Timing (PNT). Some GPS receivers have been exploiting the encrypted military P(Y) signal at the L2 frequency to achieve the high accuracy of a dual-frequency receiver despite the content of the signal being unavailable. Once the new L2C and L5 signals are fully operational, however, codeless or semi-codeless GPS users will be able to shift over and get both the new signals and their full observables and encoded navigation messages for even better results. Because codeless and semi-codeless users would then not need the P(Y) signal that point, the Air Force announced a deadline of December 31, 2020 for cutting off the capability. The plan to phase out codeless and semi-codeless was announced May 2008 in the Federal Register so that users would have ample time to make the shift — a well-planned transition that is often cited as a model for making systemic updates. In September of that year the plan was confirmed by publication in the Federal Register. 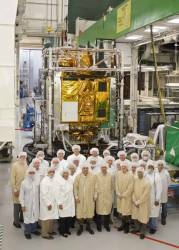 But modernization has been proceeding slowly with satellites supporting the new signals being launched only when spacecraft currently on orbit need to be replaced — and Air Force operators have been able to keep those current satellites operation for years beyond their design lives. Constellation replenishment will depend on a combination of satellite health and launch vehicle availability, said Martin. “We have an estimate of when that would be but, of course, as every budget decision comes down, the launch schedule is adjusted as well — a few months here and there, sometimes a year or two,” Martin told attendees at the CGSIC attendees. Given the already uncertain schedule and the effect of spiraling budget restrictions, the new signals possibly will not be fully operational before the phase-out deadline — leaving users in limbo. One of the major users users is the Federal Aviation Administration, which uses the P(Y) signal, located in the highly protected Aeronautical Radio Navigation Services radio band, to support its GPS Wide Area Augmentation System or WAAS. The issue is likely to be addressed as part of the next iteration of the 2014 Federal Radio Navigation Plan, said Karen Van Dyke, CGSIC chairperson and the director of the Positioning, Navigation and Timing Program Research and Innovative Technology Administration within the U.S. Department of Transportation. If previous FRPs are a guide, will 2014 FRP will most likely come out in early 2015.